No matter what kind of business you run or work at, Monitoring and Optimizing network performance is essential and a top priority for all Network Engineers and Admins. Even the biggest companies have only a limited amount of network resources available to them, and making the most of those limited resources is one of the best ways to boost efficiency and make your business more competitive. 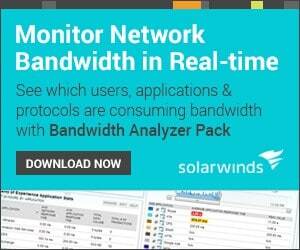 If you are looking for an effective and innovative way to monitor your network and make the most of your resources, we suggest you give Solarwinds Network Performance Monitor v12 a try. This robust and comprehensive network monitoring solution is highly detailed, scalable, customizable and yet surprisingly easy to use. 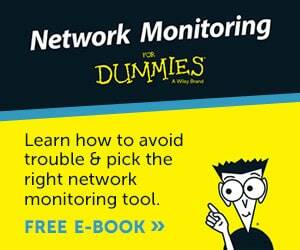 Network performance problems can be stubbornly hard to detect and pin down. If you work in IT or Sys OPs, you already know how frustrating it can be to determine where those bottlenecks are and what is slowing the company network to a crawl. The Solarwinds Network Performance Monitor v12 is designed to help IT professionals detect, diagnose and resolve network outages and performance issues quickly, even before the end users notice a problem or log a trouble ticket. Unlike some other competing products, NPM v12 provides a Real-Time look at all your network resources, making troubleshooting easier and minimizing downtime easier then ever. 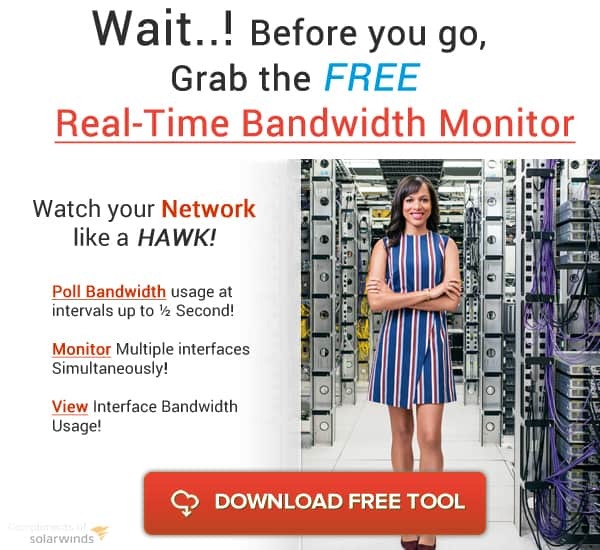 One of the biggest advantages of Solarwinds Network Performance Monitor version 12 over the competition is its Ease of Use and intuitive new User Interface. This new UI provides users with an intuitive interface that is easy to use and simple to understand. System administrators can see all the network statistics they need at a glance, including performance metrics and connected network devices. 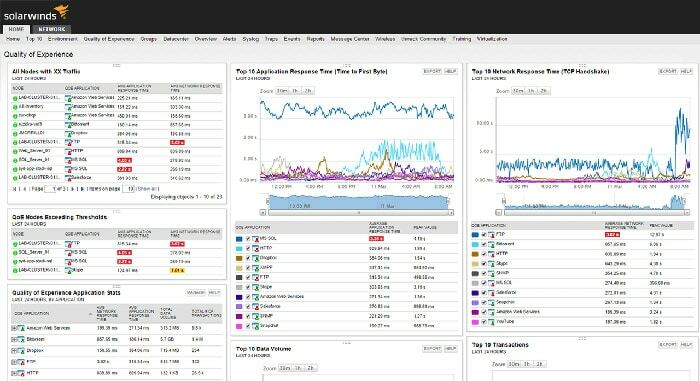 NPM 12 provides unprecedented view of your network to really drill down on Network Performance issues and Availability of crucial network components and servers, along with fault detection to guarantee Network throughput is at Peak levels during Peak hours. Using the Web Interface, you can now customize your views to show anything you want to monitor and keep tabs on from single page, rather than logging into multiple different pieces of software to do so. 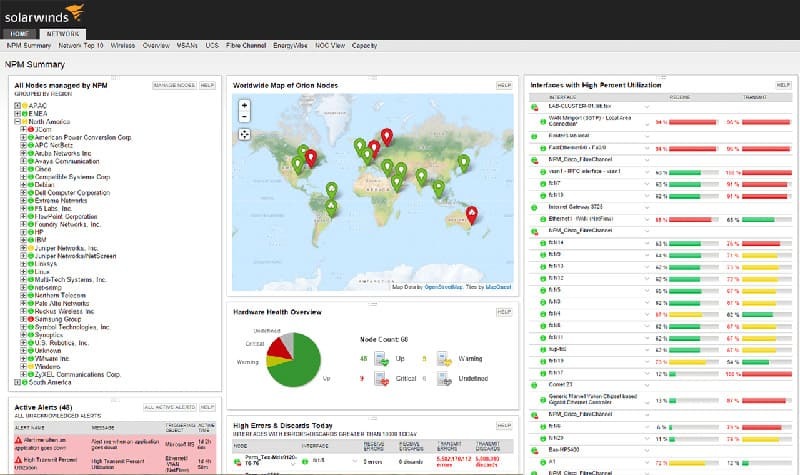 From there, you can monitor in Real-time everything that is happening on your network with ease and see an overview of potential problems and address them quickly. NPM v12 can monitor, analysis and provide statistics on any SNMP-enabled device on your network along with providing extensive stats and data from Routers, Switches, Firewalls, Servers and other devices. You can then set up alerts when issues like Poor Network Performance and Speeds, Packet Data Loss and get a historical overview of downtime and much more. Ability to Monitor Crucial Performance indicators, including Packet Loss, Network Latency, Bandwidth Utilization, QOS, Errors and much more on all SNMP Network Devices. Ability to Monitor CPU Loads, Disk Usage and Space and RAM/Memory Allocation on Network Devices. Detailed Performance Overview, Monitoring and Analysis of Network Devices/Elements. Ability to simply Hover of a Network Device in the software interface and show all pertinent details including IP Address, Status, etc. Nothing is easier than setting up your Network IP Address Range and clicking the GO button to start building out your network maps automatically for you. Solarwinds has integrated “Network Sonar” to make automatic discovery and population of network devices into NPM even easier. After Network Sonar finishes the scan with the provided SNMP credentials you have provided, you can even go as far as instructing “Network Atlas” to create or update a Network Topology Map for you to show all network connected devices in an easy to read Network Diagram. NetPath is a new feature of Solarwinds Network Performance Monitor v12, and a very useful one at that. The new NetPath feature uses advanced probing to make troubleshooting network bottlenecks and other performance problems easier than ever before. With the new NetPath feature, system administrators and network engineers can detect the network path from a source computer and trace it all the way to the destination service. 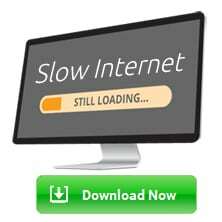 NetPath works even when older technologies like traceroute does not. 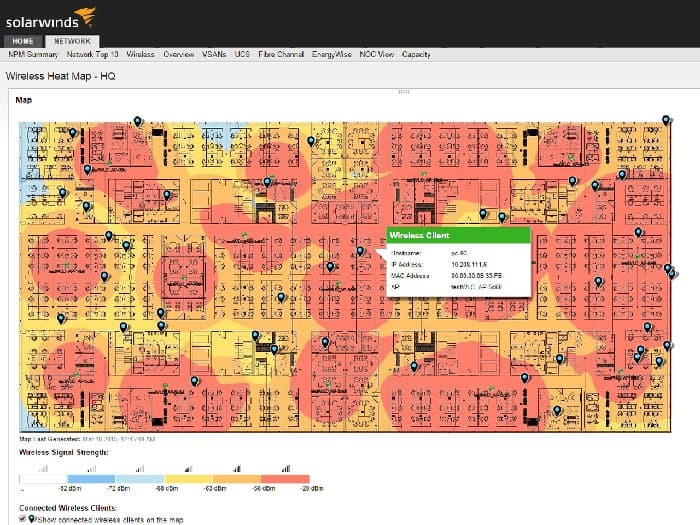 This new feature provides an unprecedented level of visibility for network engineers, allowing them to monitor performance and check the characteristics of every network mode and link, making it easier than ever to find problem spots and fix them before they have a chance to slow the network to a crawl. Network Insight is another highly useful feature of Network Performance Monitor 12, designed to give a comprehensive performance analysis, even for services that are spread among many different LTMs, GTMs and servers. 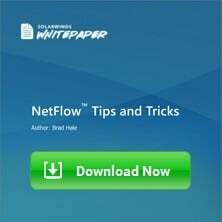 Network engineers and system administrators are sure to appreciate this feature when trying to scale their networks, balance loads between servers and detect bottlenecks that could slow performance. Another feature users will appreciate is the brand new user interface. Having the right UI is always critical, and Solarwinds Network Performance Monitor v12 provides a user interface that is simple to understand yet robust enough to provide a comprehensive view of the network. It is easy to see everything with a glance, and the statistical network baselines provide additional information network engineers and system administrators can use to optimize their systems and make the most of their available resources. 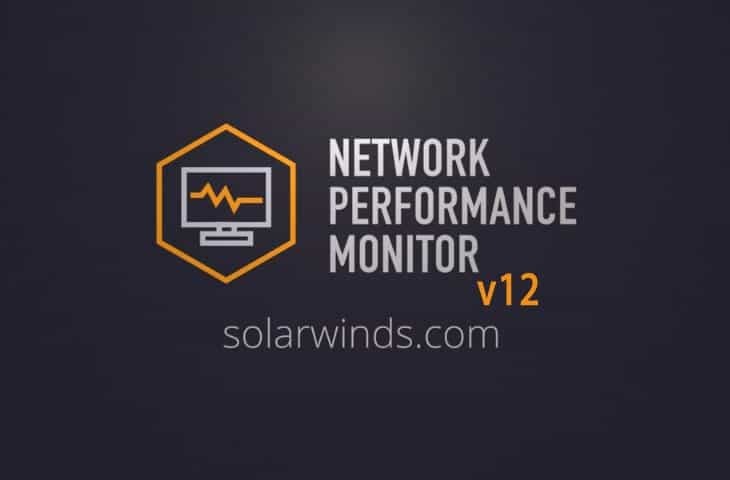 Solarwinds Network Performance Monitor v12 is a robust network monitor with reasonable system requirements for both hardware and software. Hardware requirements include a dual processor 3GHz processor, 3GB of available memory and 20 GB of hard drive space. On the software side, Solarwinds Network Performance Monitor v12 supports Express, Standard and Enterprise versions of SQL Server® 2008 without SP or with SP1, SP2, SP3 or SP4. It also supports SQL Server 2008 R2 with no SP or with SP1, SP2 or SP3 and SQL Server 2012 with no SP or with SP1, SP2 or SP3. Solarwinds Network Performance Monitor v12 is compatible with a wide range of operating systems, including Windows Server 2003 SP2. It works with R2 32 and 64-bit versions and with IIS in 32-bit model. Solarwinds Network Performance Monitor v12 is also compatible with Windows Server 2008, 2008 SP2, 2008 R2, 2008 R2 SP1 and Windows Server 2012 R2. As a network administrator or engineer, we want the software we use to solve specific real-world problems. Even the most well designed and beautifully written software will do you no good if it does not solve your problems you deal with on a daily basis and give you an overhead view of whats happening in your perimeter and outside of it. When it comes to solving network issues within your business, Solarwinds Network Performance Monitor v12 software should be your go to software. The innovative that has been put into this software has been very well thought out and designed from the ground up to solve some of the most persistent problems businesses of all sizes experience daily. Internet-connected applications are essential in all businesses, but often are flawed due to one issue that seems to arise when you don't want it too: Connectivity Issues. When connectivity is lost, every employee, manager and execute comes running into your office saying that “THE INTERNET IS DOWN”, which I'm sure all Network Admins have heard before. Troubleshooting connectivity issues for Internet-connected or Cloud Applications is no fun, especially outside of your perimeter, especially when your firm relies on programs such as Salesforce, Google Apps/Email, Crashplan Backups and other similar web/cloud-based products to run essential business functions. NPM v12 now helps the IT diagnose, troubleshoot and pin-point solutions for these frustrating problems, along with alleviating the stress they cause on the office. With the added functionality of analyzing the path between the user and the service by finding weak points in between hops and destinations, you can then diagnose and re-route traffic as needed to keep Crucial Business software up and running without outrages. Load balanced services help businesses of all sizes make the most of their precious system resources, but poor performance can make those services less effective and reliable than they should be. Network Performance Monitor v12 is designed to address those performance issues and make all kinds of load balanced services more stable, more reliable and much easier to use. 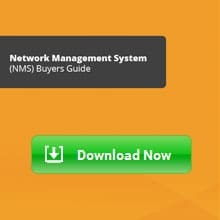 If you are looking for a robust and cost effective network monitoring solutions, Solarwinds Network Performance Monitor v12 is going to be one of the Top choices, if not the Best choice in terms of Network Monitoring Software. With its new Real-time user interface, abundance of features and reasonable system requirements, this version of the software package is one of the Best on the market.